Rokii know how to give great mileage from their products – their designers combine them! 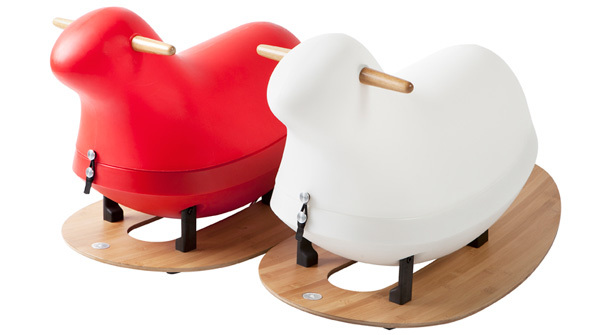 Designed for use from newborn stage through to preschool age, the Rokii Rocking Egg makes an eye-catching infant rocker. This stunning sleek and modern design is available in either red or white and is finished beautifully with a wooden rocking base. The seat adjusts from flat to an upright position and includes a black padded liner with a five-point harness. Extra chair liners are also available separately. 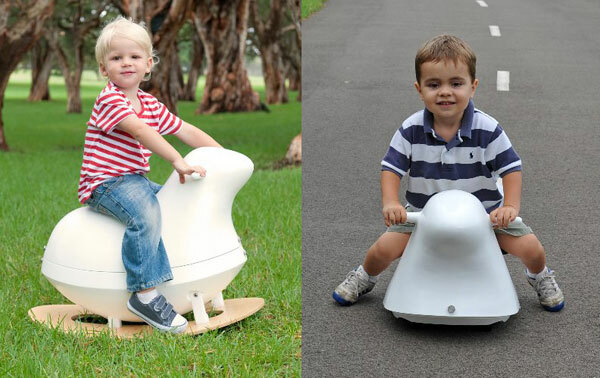 The Rokii Animal is a fantastic take on the traditional rocking horse when combined with the Rokii Rocking Egg. The Animal clips on to the Rocking Egg base for some fabulous rocking action. For children on the move, the Animal can be put on its castor wheels for a wheely good time scooting around in its other guise as a ride-on toy! 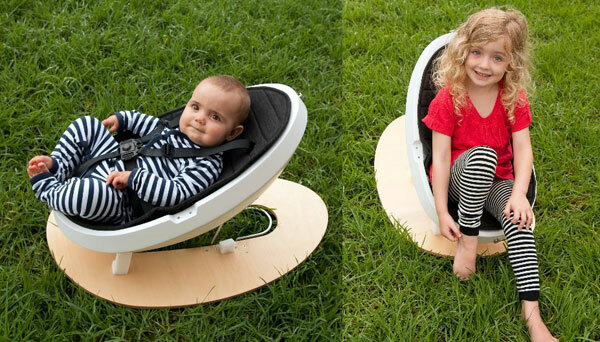 Both the Animal and Rocking Egg are made using recyclable and sustainable products. Pre-orders are being taken for Rokii Animal, priced at $199 with an expected August delivery, while the Rokii Rocking Egg is $449. Find both at Bower And Beyond.